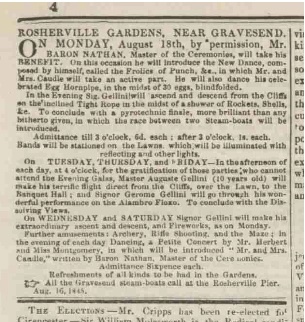 Of course, it’s not possible to visit Rosherville Gardens any more, although in the 1840s and 1850s you might have been one of the hundreds of London visitors who travelled down to Kent by steamboat to visit these famous pleasure gardens. Besides the tea and shrimps so dear to the heart of the Gravesend excursionist, other refreshments of a more substantial and stimulating character can be obtained at very reasonable rates… There is a conservatory about 200 feet long, a bijou theatre, a maze, museum, “baronial hall,” occasionally used for dancing, but more often for purposes of refreshment. There is a very good fernery and a bear-pit, and some to miles of walks are held out as additional inducements to the excursion public. 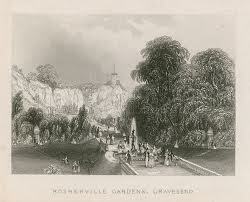 The peculiar situation of Rosherville – it being an old chalk quarry – has lent itself admirably to the landscape gardener’s art, and the result is a really pretty and remarkably diversified garden, in which it is quite feasible to pass that “Happy Day” which in the advertisements is always coupled with the name of Rosherville. However, it was the antics of the garden’s famous MC and dancing teacher, Baron Nathan who captured my imagination. 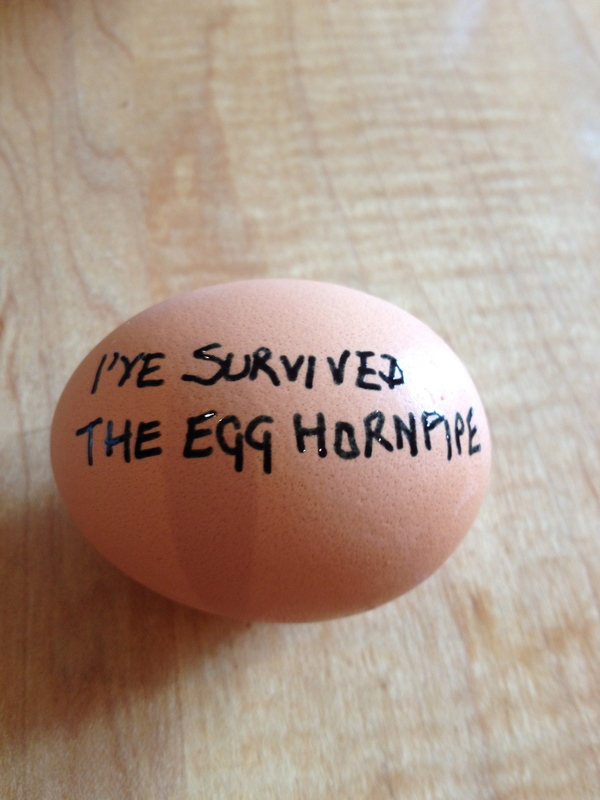 Or to be more specific, his world-famous blindfolded dance of the Egg Hornpipe. consume slowly down to his yolk. over a carpet of thirty other eggs. grows wild as weeds in every bed. This entry was posted in Uncategorized and tagged Baron Nathan, Pleasure Garden, Rosherville. Bookmark the permalink. It is actually important to understand that some very key features of the gardens still survive, the bear pit survives almost fully intact, there are two Grade 2 Listed structures one being the Rosherville Quay which joined the former Pier and the ornate clifftop entrance and tunnelled stairwell through the cliff, there is also a grotto gardens cave fully intact complete with alcoves and niches, cliff top walks and the cavern in which the first tea room was placed. 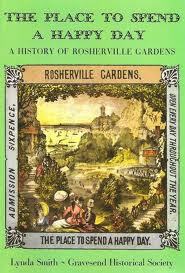 Rosherville Gardens should not be written from history yet. Have a look at this link on YouTube and join the lobby to stop it being built over. Thanks for this, Conrad. Fascinating – I had no idea how much had been left. Have joined your Facebook group. I used to visit rosherville gardens in the late1940early50s, with my mother and little brothers.remember long walk down the cliff and the remains of the bear pit. It was a strange rather creepy place lots of ruined walls with blackberry bushes and creepers,I don’t remember anyone else around but we suddenly stopped going and my mother said she felt uneasy there!. Also remember there was a large hotel at the end of Pier Road with balustraded steps leading down to the river, though I don’t remember the pier.